Hundertwasser also hoped his idea would catch on and become a design norm. 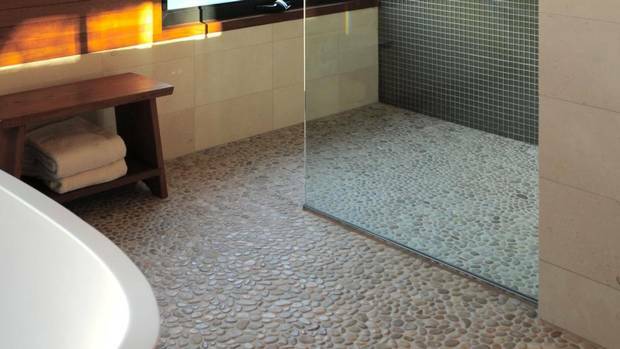 While that hasn’t happened by any stretch (if for no other reason than standardized, level floors are cheaper and more efficient to install), daring practitioners are incorporating the idea in both subtle and extreme ways. Here, three standout examples at three different levels of extravagance. The green, lumpy, concrete floor in the Bioscleave House (a.k.a. the Lifespan Extending Villa) has the dramatic indentation of a deflated, spinach soufflé. The designers, artist-architects Arakawa and Madeline Gins, took about a decade to complete the $2-million, Long Island, N.Y., project. It was their conviction that a physically challenging house (one where you had to actively engage your body to get from one room to another) would improve health and lengthen life-span. Anyone daunted by fears of losing balance, rest assured: Fire poles dot the space to provide something to hold onto. 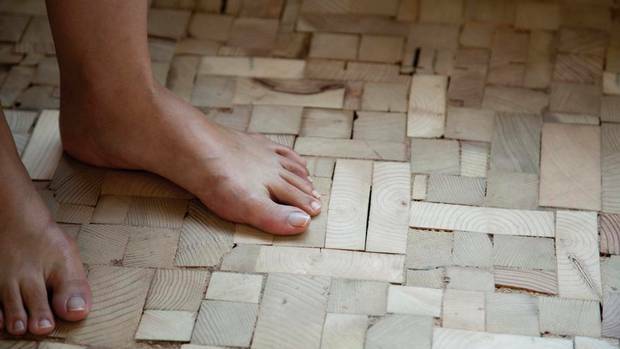 Japan’s 403architecture created a subtly undulating, toe-tantalizing floor by using off-cuts of reclaimed wood, randomly arranged on the ground. It might seem like the bedroom in an apartment in Hamamatsu, Japan, is a giant splinter trap, but each piece of lumber was carefully sanded to get rid of any rough edges. This piece originally appeared in the Globe and Mail on Thursday, January 31, 2013. 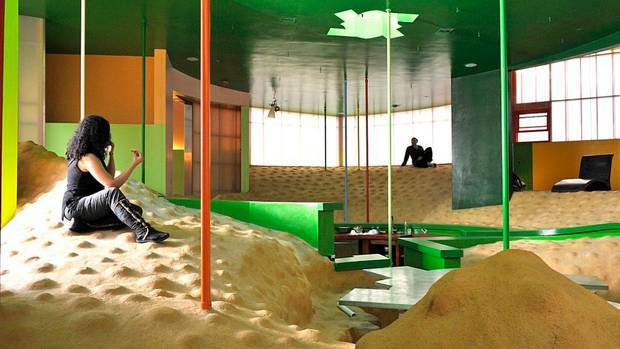 This entry was posted in Design Spy and tagged 403architecture, Architecture, Bioscleave House, Flooring, Friedensreich Hundertwasser, Interior Design, Japan, Lifespan Extending Villa, Madeline Gins, The Globe and Mail, Uneven Floors by mmhague. Bookmark the permalink.